Are you like everyone else who wants a quick fix to burning their unwanted fat? That’s why fat burning supplements have become so popular that you can find them in almost any store that you walk into. Find out the real truth about fat burning supplements before you spend a lot of money and time, which could be a waste. Most fat burners are supplements that usually contain different ratios of the same substances like caffeine, B vitamins, chromium, L-carnitine, and guggulesterone. They work similar to an energy drink to get you up and motivated to go to the gym and workout, which is the main thing that will help you lose that unwanted fat in the first place. Some substances in the fat burner can effect your hormone levels and how your fat is metabolized in your body to help use it as an energy source. There are thermogenic effects that some fat burners have which causes your body temperature and metabolism to rise. The effects of fat burners will not fix your problem areas on their own. You have to work hard in the gym and eat nutritious low calorie foods to lose bad weight. If you use trust worthy fat burners properly then you may be able to speed up the process. Different fat burners have different side effects and people may have different reactions. You must be very careful. 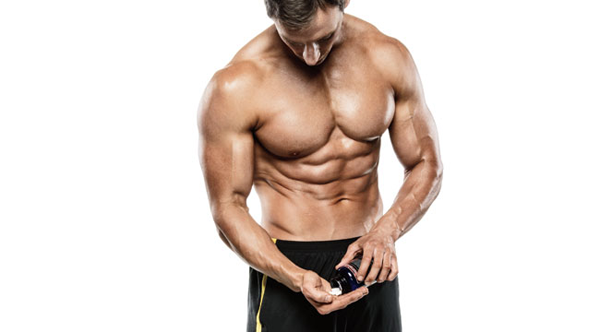 Don’t trust the labels on any fat burning supplement, or the advertisements. The labels are not regulated by the FDA so they can put almost anything they want on the label and claim that their product will do just about anything. You have to do research and the best sources are people who have already been adventurous and played the role of the guinea pig. Talk to people in the gym who may have taken fat burners and have the results to show for it. If you find a trust worthy fat burner, don’t overkill on the first day. The first one or two weeks start the dosage off slow. It’s easy to think that taking more of the supplement will have a greater effect, so why not take more? Well your body may have a serious adverse reaction. Many people drink coffee in the morning but fat burners often have their own dosage of caffeine. If you take too much caffeine you may end up feeling very fatigued, light headed, jittery, and recovery from workouts can be slower. It’s much safer to get your body used to something by taking the recommended dosage, or even less for the first week or two. Fat burners have many positive effects that will help you burn extra calories and use your fat stores as energy in your workouts. If you choose to use something like this be very careful and skeptical about anything that the supplement claims. Talk to people who have personally taken them and find out what results they got. The worst mistake you can make is completely relying on a fat burner to do all the work. It just won’t happen. You have to get motivated to get out of your recliner and go to the gym. If you don’t like the idea of taking a fat burning supplement, there are easy ways to add foods to your diet that promote fat loss. Read 5 Fat Burning Substances In Food That You Should Add To Your Diet to find out more. If you have taken a fat burning supplement before comment below with your results or questions!